It is an unavoidable fact that for the human race to survive then, sooner or later, we are going to have to leave Earth and probably the Solar System too. If the human race is not wiped out by disease, war, over-population, pollution or climate change there is still a galaxy full of natural hazards that could signal the end of homosapiens. A collision with a wayward asteroid or comet, a solar superflare, a nearby high energy gamma ray burst or a supernova are just some of the dangers of living in our “Violent Universe” as the celebrated science writer Nigel Calder once called it. If we are lucky, if we are exceptionally lucky, and we survive for another 4.5 billion years, then we will witness the Sun dying before our very eyes as its fuel is spent and our star begins to redden and bloat, first swallowing Mercury, then Venus and ultimately the Earth. Time to leave our home planet and start colonizing the galaxy. There are a number of obstacles to travelling to other planetary systems beyond our own. Strangely enough, rocket technology is not one of them, or at least not one of the main obstacles. We know how to build rockets and spacecraft and can assemble spacecraft in space. Providing we accept that it is going to be a long journey, often longer than a single human lifespan, then workable rocket technology already exists. The two main barriers seem to be that our computers are not yet powerful enough, and that we humans are too weak to survive lengthy space journeys. Humans are not really designed to live in space. Prolonged exposure to weightlessness causes the muscles to weaken along with the bones, which lose calcium. Blood and other fluids tend to redistritbute within the body and head producing skinny “bird legs” and fattened “puffy faces”. There is an increase in urination and a decrease in the need to drink fluids. The heart shrinks because it no longer has to work against the force of gravity. Some red blood cells, which are normally shaped like a doughnut without a hole in the middle, distort into spheroids while plasma – the clear fluid in the blood stream – can fall by 20 per cent. Although some of these conditions can be reduced by exercise and most are reversible on returning to Earth, we can only speculate on the effects of a journey that may last an entire lifetime or several lifetimes if generations of interstellar astronauts were to be conceived, born, raised and die on their way to a suitable planetary system. Whilst it may be possible to produce a stable artificial gravity field within the craft, what will happen to stellarnauts when it is time to disembark on an alien world where, chances are, the gravity will be so much different? And the problems do not stop there. Serious psychological issues can arise, which are associated with being confined in a sealed spaceship of limited size and in a small community where everyone knows, only too well, everyone else. The lack of privacy and not being able to meet or talk with anyone new are just two of a whole range of problems. Then there is the spaceship itself. There is nothing normal about living in a metal can under artificial light in a completely controlled environment without rain, snow or wind. And when the inhabitants of the interstellar spaceship do reach their destination, will they really give up their protected environment and risk the unknown? But perhaps the greatest obstacle to generations of astro-families is that of a limited gene pool and the negative and dangerous effects of inbreeding, such as disabilities, slow learning development, high infant mortality, dwarfism in the extremities and malformed atria in the heart. So the prospects of humans travelling to the stars is bleak, albeit not impossible. But Do We Need Astronauts? 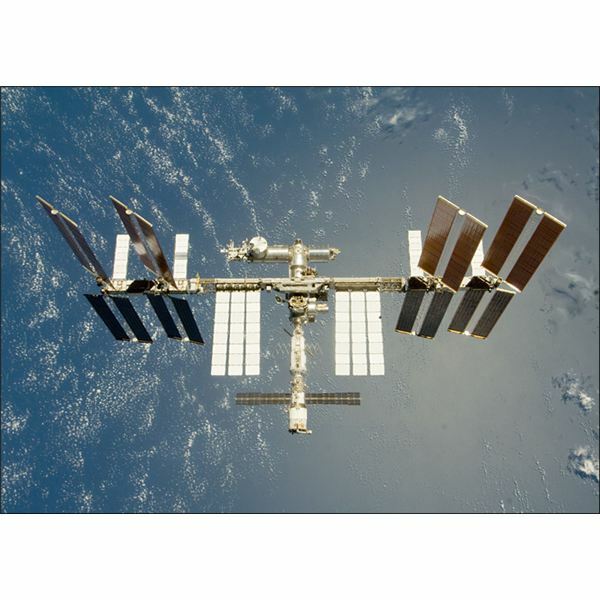 An alternative to sending humans into interstellar space is to send just a few cells. However, we have no evidence that cells are viable over long periods. The fact is, we don’t even need cells: we just need their blueprint – the DNA code. In the 1960s the Hungarian-American mathematician John Von Neumann envisaged a self-replicating machine or robot that has come to be known as a Von Neumann Machine (VNM). These machines would be sent to, say, the nearest 10 planetary systems and would carry onboard human DNA code. If a VNM found a suitable planet it would land, mine the planet and build ten replicas of itself, perhaps modifying the design to cope with problems identified on the journey. These ten VNMs would then be sent to ten other planetary systems and the process would be repeated. Having replicated itself the VNM would then use the DNA code, chemicals sourced locally and artificial womb technology to create new human life. These new humans would be raised by robots to adulthood. Frank Tipler, a physicist and cosmologist, has estimated that by cascading VNMs in this way the entire galaxy could be explored in just 300 million years. Needless to say, such robots are beyond our current computing capabilities. If the Earth was about to perish and there was the option of saving some lives by sending them off to a new planetary system, à la Superman, then investing in a spacecraft that could travel to the stars is probably a good thing. But allowing the human race to die along with the planet while creating an entirely new race on another planet from DNA code and some basic chemicals seems, well, pointless. The new humans would have no tangible link to their ancestors, no real history and none of the norms, which our civilization has developed to survive. The survival of the human race is more than just preserving chemical codes. So will VNMs just turn out to be an academic thought experiment, never to be built? Perhaps our own planet can answer that question. 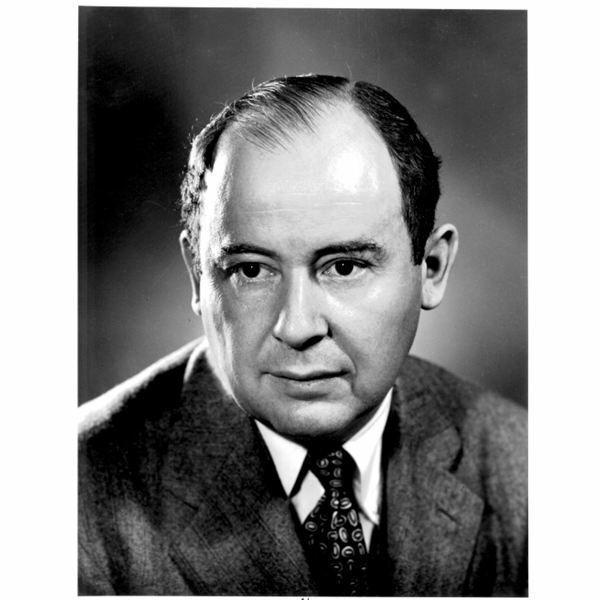 Where Are All the Von Neumann Machines? Recent space and ground based observations have shown that our galaxy is awash with planetary systems. That’s great news for those scientists involved in the Search for Extra-Terrestrial Intelligence (SETI) who have always maintained that the galaxy must be teaming with life because of the sheer number of Sun-like stars. But all is not well in SETI land. A galaxy full of intelligent life should also be full of structured radio signals leaked from the aliens’ worlds. Yet the galaxy appears remarkably quiet. The SETI scientist have said that this is because radio transmissions are only used for a short period by civilizations, but this argument looks incredibly weak if another of the SETI tenets is correct: that the galaxy houses intelligent beings at various stages of evolution. If this is true then there should be plenty of evidence of radio transmissions but all attempts to find them have so far resulted in zero. The prospect of VNMs may also add a nail to the SETI coffin. If there are civilizations in the Galaxy that are considerably more advanced than ours, as often suggested by SETI enthusiasts, then some will have built their own VNMs. So where are they? We should see evidence of them here on Earth, especially if human DNA code arrived from other worlds and we are all aliens. Of course, the more advanced aliens may have realized that there is no point in seeding a planet with their DNA and so never built VNMs in the first place. Or perhaps the VNMs have already been here, done their job and gone, taking with them all evidence of their existence. Which raises another interesting possibility: What would happen if VNMs from two different alien civilizations landed on the same planet? Would they see each other as threat and go to war? Would they compare DNA and come up with a modified species? Who knows? So can Von Neumann save the human race? It is looking increasingly unlikely. Frank J. Tipler. Extraterrestrial Intelligent Beings Do Not Exist. Quarterly Journal of the Royal Astronomical Society, (1980), 21, 267-281.